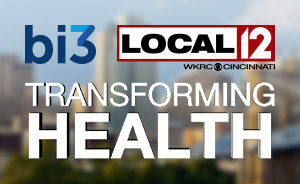 bi3 is Bethesda Inc.’s grantmaking initiative to transform health in Greater Cincinnati. bi3 takes informed risks and invests in new ideas and approaches with the potential to spark and scale health innovation. Ultimately, bi3 seeks to fund and support collaborations and partnerships that lead to breakthrough change in health and health care for all people in Greater Cincinnati. Bethesda Inc. is co-sponsor of TriHealth and founder of bi3. Bethesda Inc. is a non-profit support organization for Bethesda Hospital and its entities. bi3 is not a hospital or foundation; it is Bethesda Inc.’s philanthropic initiative to transform health. The letters ‘bi‘ honor Bethesda Inc.’s heritage of innovation. The number ‘3’ recognizes that the organization’s grantmaking initiative is built on three core elements – ideas, investments and innovation. bi3 is the evolution of Bethesda Inc.’s grantmaking work and better positions Bethesda Inc. to invest in collaborations and leverage partnerships. Since 2010, Bethesda Inc. has invested more than $40 million in innovative ideas to transform health and health care, ranking it as one of Ohio’s largest health-focused funders. Health innovations that are enabled by new technologies or accelerate the integration of care. We remain flexible in our approach to best respond to new opportunities and changes in the community. bi3 is particularly interested in efforts that achieve health equity and address barriers and disparities for underserved people in the Greater Cincinnati community. Successful initiatives create new, sustainable models of care; integrate medical and community resources, address social determinants of health; leverage other resources and dollars; involve strong leaders and champions. FOSTER AND FUND NEW COLLABORATIONS. We invest in projects that align with community health initiatives and break down silos between clinical care and social service delivery to improve the health of vulnerable populations. TAKE INFORMED RISKS. We invest in new ideas with the potential to lead to break-through change. We encourage others to tackle community health issues and think about what is possible. ADDRESS SOCIAL DETERMINANTS OF HEALTH AND HEALTH EQUITY. We seek ideas that address underlying factors affecting health and wellness, such as housing, food insecurity and domestic violence. SHARE OUR LESSONS LEARNED. We share our knowledge, developing best practices from our work, while sparking conversation and action in other sectors and communities.